The US Navy’s Low Cost UAV Swarming Technology (LOCUST) program aims to develop low-cost, unmanned aerial vehicles that can be launched in swarms and fly in formation to gather intelligence or collectively attack a target. Raytheon Missile Systems is advancing its small Coyote unmanned aircraft for this Navy program that envisions swarms of smart drones that can perform intelligence and reconnaissance missions, and someday perhaps deliver weapons. The company has recently won a $29.7 million contract to build prototype aerial drones for the program. 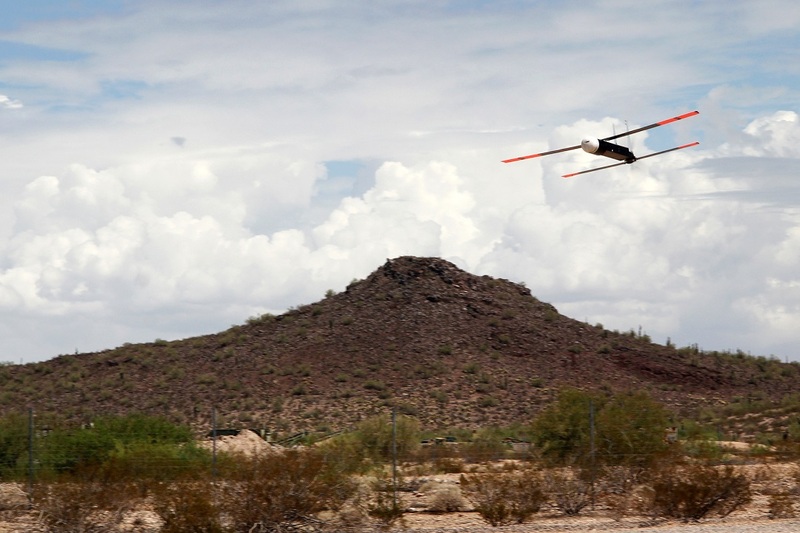 Raytheon already has demonstrated mass launches and coordinated flights of its expendable Coyote UAVs. They reportedly cost about $15,000 each, a fraction of the cost of current reusable drones. According to c4isr.net., in 2016, the Office of Naval Research (ONR) launched a swarm of drones from a series of tubes on the back of a truck, like a cyberpunk beehive. A year later, ONR showed the system launched instead from containers on F/A-18 Hornets. What’s notable about the prior demonstrations is that the bodies of the drones themselves are different, and the launch methods are too. LOCUST calls to mind a specific sort of swarm, a kind of small and vicious mass moving through the air, but the technology here appears largely platform agnostic. LOCUST is about sensors and software, not the arbitrary constraints of physical form. The company also has developed a field-portable, long-range reconnaissance drone called the Silver Fox that has been used by the Marine Corps and the Air Force, according to tucson.com. Separately, Raytheon BBN in Cambridge, Massachusetts, is working with the Defense Advanced Research Projects Agency DARPA to develop technology to direct and control swarms of small, autonomous air and ground vehicles.